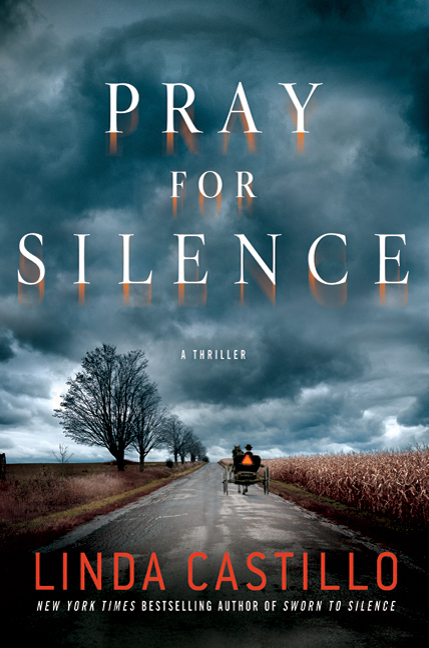 SYNOPSIS: The Plank family moved from Lancaster, Pennsylvania, to join the small Amish community of Painters Mill less than a year ago and seemed the model of the Plain Life—until on a cold October night, the entire family of seven was found slaughtered on their farm. Police Chief Kate Burkholder and her small force have few clues, no motive, and no suspect. Formerly Amish herself, Kate is no stranger to the secrets the Amish keep from the English—and each other—but this crime is horribly out of the ordinary. State agent John Tomasetti arrives on the scene to assist. He and Kate worked together on a previous case during which they began a volatile relationship. They soon realize the disturbing details of this case will test their emotional limits and force them to face demons from their own troubled pasts—and for Kate, a personal connection that is particularly hard to bear. This entry was posted in Books and tagged book reviews, books, John Tomasetti, Kate Burkholder, Linda Castillo. Bookmark the permalink. You really didn’t like this! Will definitely skip it then! How do you find time to read books??? Hahaha I do love to read so whenever I have an extra spare moment I try to get some reading done! It was freaking awful! I was incredibly unhappy. And the first one wasn’t even that bad… will see how it continues! AMISH ROMANCE BOOKS?! What the HELL would that… just… why… no. Just no. I have him on my reading list at your recommendation!